Delight in all that Victoria, British Columbia has to offer with curated city tours highlighting food, culture and world-famous attractions. These unhurried tours offer a local's insight into the city. Architect Francis Rattenbury designed the Fairmont Empress Hotel, which opened in 1908. This 4-hour city tour is the ideal overview of Victoria, and affords guests photo opportunities at major Victoria landmarks, with time to visit the renowned Butchart Gardens. 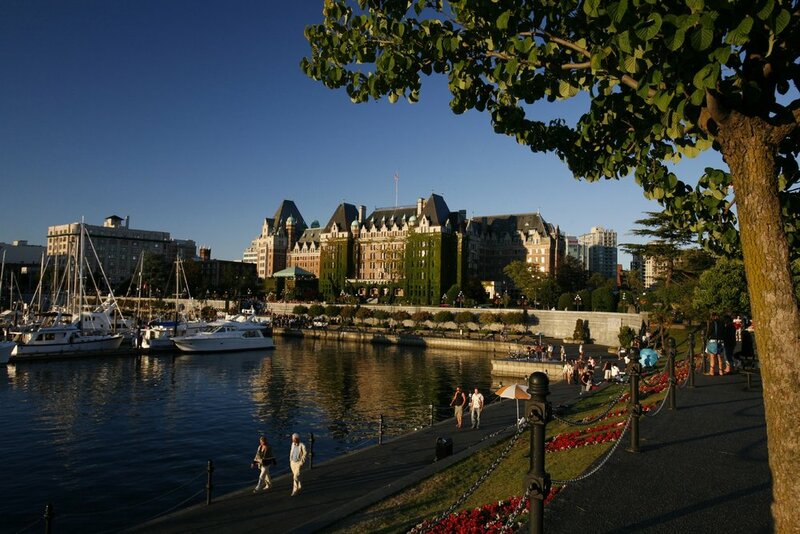 Your private tour begins at your pickup location, and winds through downtown Victoria, through the Inner Harbour, past architect Francis Rattenbury's British Columbia Parliament Buildings and the famous Fairmont Empress hotel. Enjoy guided commentary and an unhurried pace, with opportunities to stop for photos along the route. As we head into Victoria's Chinatown, the oldest in Canada and second oldest in North America, we'll stop for a brief refreshment - a taste of Victoria, and nod to Canada's rich cultural mosaic. From downtown Victoria, we'll wind through country roads to The Butchart Gardens, where you'll enjoy free time to walk the gardens at your leisure, prior to returning to the city. On the route back, enjoy breathtaking panoramas of the Olympic Mountains and Pacific Ocean from a scenic view point, prior to drop-off at your destination. Taste your way through Victoria's thriving food and cocktail scene. Looking for a new way to discover Victoria? Why not eat your way across the city? This 4 hour tour is allows you to see the world-famous sites and attractions, while enjoying light bites and libations along the route. You've probably heard about the famous afternoon tea, the freshest local seafood, and perhaps even Canada's oldest Chinatown, but what better way to discover the city's culinary bounty than by tasting as you go? This guided city tour takes you through Victoria's most famous, and most local artisan food purveyors, where you'll enjoy a grazing meal as we go. We'll stop for artisan cheese and charcuterie, delicious savouries and sweets, international delights and some of the best macarons outside of Paris. You'll was it all down with tastes of craft microbrew beers, Vancouver Island wines, and local teas.